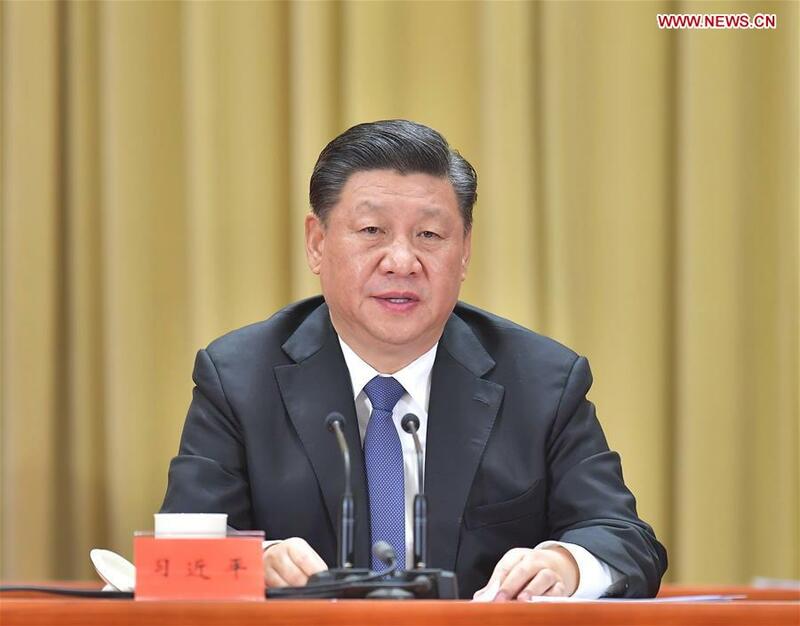 BEIJING, Jan. 2 (Xinhua) — President Xi Jinping on Wednesday said China must be and will be reunified, as he addressed a gathering in Beijing to commemorate the 40th anniversary of the Chinese mainland’s Message to Compatriots in Taiwan. “It is a historical conclusion drawn over the 70 years of the development of cross-Strait relations, and a must for the great rejuvenation of the Chinese nation in the new era,” said Xi, also general secretary of the Communist Party of China (CPC) Central Committee and chairman of the Central Military Commission. Xi said since 1949 the CPC, the Chinese government and the Chinese people have always unwaveringly taken resolving the Taiwan question to realize China’s complete reunification as a historic task. On Jan. 1, 1979, the National People’s Congress Standing Committee issued the Message to Compatriots in Taiwan. It was considered a declaration of the mainland’s policy for peaceful reunification. He said the principles of “peaceful reunification” and “one country, two systems” are the best approach to realizing national reunification. He said on the basis of ensuring China’s sovereignty, security and interests of development, the social system and way of life in Taiwan will be fully respected, and the private property, religious beliefs and legitimate rights and interests of Taiwan compatriots will be fully protected after peaceful reunification is realized. The president pledged “utmost sincerity and greatest efforts” for the prospect of peaceful reunification and said Taiwan will be guaranteed lasting peace after reunification. “We are all of the same family,” Xi said. This targets only the interference of external forces and the very small number of “Taiwan independence” separatists and their activities, he added. “‘Taiwan independence’ goes against the trend of history and will lead to a dead end,” Xi said. The president said achieving the country’s greatness, national rejuvenation and cross-Strait reunification is the trend of history, which can never be blocked by anyone or any force. Between 1988 and 2018, 134 million cross-Strait visits were logged; two-way trade reached 2.6 trillion U.S. dollars; and the mainland has been Taiwan’s largest market and top investment destination outside the island, Liu said. Xi said the Taiwan question is China’s internal affair and allows no external interference. The Chinese people’s affairs should be decided by the Chinese people, Xi said, stressing that the Taiwan question concerns China’s core interests and the national bond of the Chinese people. China’s reunification does not harm any country’s legitimate interests, including their economic interests in Taiwan, Xi said, adding that it will only bring more development opportunities to other countries. Over the 70 years, more and more countries and peoples have understood and supported China’s cause of reunification, the president noted. Wednesday’s gathering was attended by Li Zhanshu, a member of the Standing Committee of the Political Bureau of the CPC Central Committee and chairman of the National People’s Congress Standing Committee. Wang Yang, a member of the Standing Committee of the Political Bureau of the CPC Central Committee and chairman of the National Committee of the Chinese People’s Political Consultative Conference, presided over the event. Wang said Xi’s speech demonstrated the historical trend of cross-Strait relations and called for joint efforts to forge ahead for the peaceful national reunification. Chen Ching-lung, a 54-year-old hotel operator in Xiamen, Fujian Province, followed Xi’s speech, which was broadcast live by China Media Group and on Xinhua News Agency’s website (xinhuanet.com).